Non-clinical services are an untapped source of influence that’s actively shaping your patients’ overall perception of care. High-touch customer service is the unsung hero of patient experience, sacrificed in the balance between service improvement and cost management. Left undervalued, and underdeveloped, poor customer service becomes the silent killer of patient satisfaction. Your competition drives patient experience excellence because they know non-clinical services play as big a part in patients’ overall perception of care as clinical services do. Strong customer service-oriented programs, in particular, are the most effective way to move the needle on patient experience scores. Your competition knows that improving patient satisfaction cannot come without improving customer service and here are the biggest reasons why. Non-clinical aspects of care have a greater influence on a patient’s perception than strong medical outcomes, according to research. This is a frustrating reality for healthcare providers. The clinical encounter is paramount, but the reality is most patients don’t distinguish between the quality of service and the people providing the service, primarily because they’re unable to. What percentage of patients can reasonably assess a clinician’s technical skills, outside of “feeling” better? Maybe a select few that have medical training themselves. The other 99 percent of patients are assessing their medical care by the way you make them feel both physically and emotionally. From the moment a patient crosses the threshold of your front doors they’re assessing friendliness, empathy, warmth and several other feeling-based factors that strongly influence their perception of service quality. Moreover, if patients leave your hospital feeling slighted, disrespected, dehumanized or insulted, great clinical care alone isn’t going to keep them coming back. Alienating patients is an expensive mistake. It’s the science behind why feelings play such a big factor in medical treatment! The halo effect is the influence of early interactions on later experiences, and it’s most prominent when a consumer is evaluating a complex service, such as healthcare. 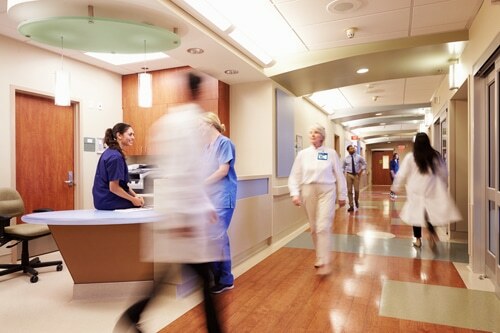 This means a significant portion of a patient’s assessment of their clinical care is determined by how warm the front desk team is, if they were greeted immediately and with direct eye contact, if they feel listened to and how adequately they’ve been prepared for the clinical encounter by support staff. All of these “little things” create a sizable impact. Healthcare organizations that successfully harness the halo effect create a quick, yet sustainable, change in patient experience by using non-clinical, patient-focused services to properly set the stage and prepare patients and families for visiting their clinician. If done correctly, the impact reverberates throughout the patient’s entire clinical experience resulting in a positive perception of care. The line between compassionate patient care and customer service is getting murkier by the minute. To compensate for weak non-clinical services many healthcare practitioners, both nurses and physicians, are relegated to managing the non-clinical side of medical care. This can result in higher readmission rates and a decline in patient safety, impacting overall clinical effectiveness. At the same time, bedside manner is an important element of patient experience, but hospitals shouldn’t rely on clinical staff alone to improve customer service. Ideally, non-clinical support and clinical services complement each other. Leave the non-clinical needs of your patients to the experts. Physicians and nurses that are cared for by their employer, in turn, provide excellent care for their patients, and the opposite is true as well. This phenomenon accounts for the strong link between physician well-being, patient satisfaction and patient safety. Adding “customer service representative” to your clinical staff’s job description only serves to increase medical errors, physician burnout and nursing turnover. 1. It gives time back to your nursing team which is re-invested in direct clinical patient care to a broader patient base. 2. It increases clinicians’ professional satisfaction. The cost of increasing non-clinical support services is apparent. What’s less apparent is the cost of lousy customer service. It drives down word-of-mouth referrals, damages your online reputation, alienates loyal patients and dampens clinical outcomes. 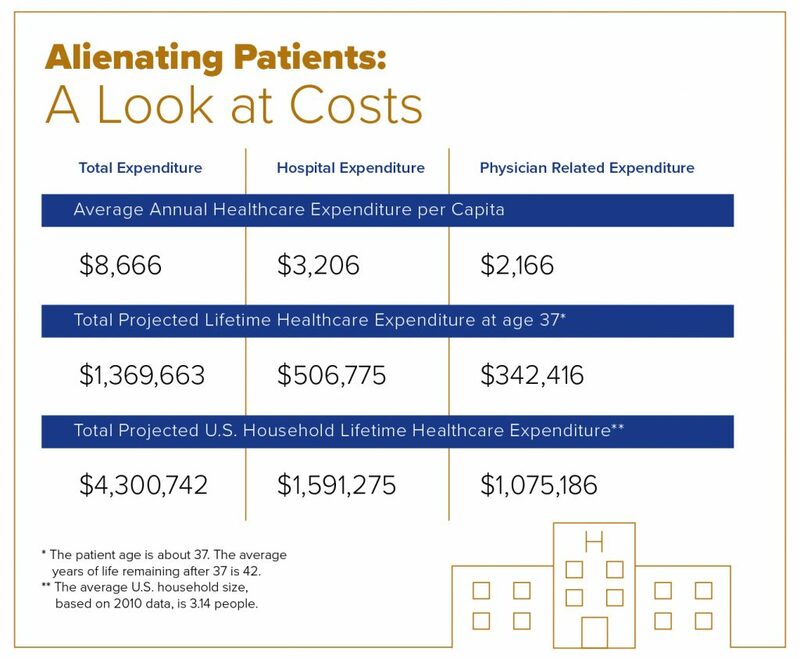 As out of pocket costs continue to rise so have patients’ expectations. Providing excellent clinical care is no longer a feather in your cap; it’s a baseline assumption. Today patients are asking, “What am I getting for the increased cost that is of benefit to me?” The answer lies in experience, and this is where the importance of non-clinical patient support services really resides. Patients are shopping for providers that offer excellent clinical care in a warm and comfortable environment with high-touch customer service. Unless all three are delivered, raising patient satisfaction scores will be an elusive goal.